The decorations and ambiance of Fraunces Tavern in New York City reference the building’s rich history. 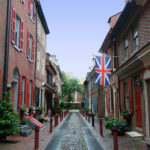 The tavern first opened while America was under British rule and survived the American Revolution. 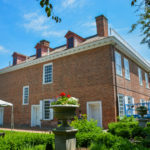 After the country gained its independence, the tavern served as a setting for meetings and events (like the Department of Foreign Affairs’ attempt to negotiate the U.S./Florida border with Spain) that would shape early America. Today, it continues to operate as a tavern, but also functions as a museum, showcasing scenes and artifacts from America’s early days, like a portrait of New York’s first American governor, George Clinton. Its wealth of history is what attracted re-enactor Phil Webster to the site. 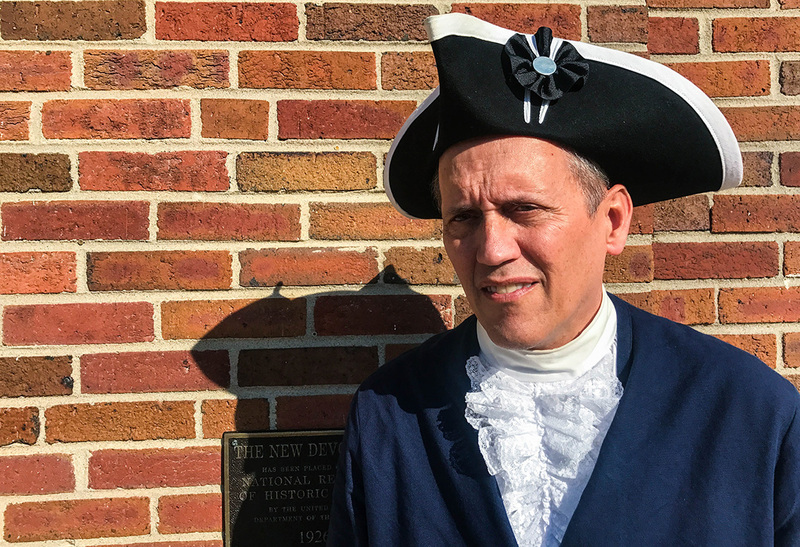 In 2015, on what he called a pilgrimage to New York, Webster, a man knowledgeable in American history, visited the tavern with his wife expecting to find hints about the life of his favorite Founding Father — John Jay. Instead, he found nothing. “He’s the glue that held the country together between 1784 and after the Constitutional Convention,” Webster says, expressing his concern about the lack of information (and therefore appreciation) for Jay at the tavern. As a John Jay interpreter, Webster is determined to bring Jay the historical recognition that he deserves. “John Jay isn’t feeling the love yet, but we’re working on it,” he says (photo credit: Rachel George). Even to those with no particular affinity for Jay, it’s surprising the tavern holds nothing to preserve his memory. The Department of Foreign Affairs at one point operated out of Fraunces Tavern, and John Jay served as the department’s Secretary from 1784-1789. During his tenure there, Jay provided the framework for what became the State Department. He increased his staff to not only include his under secretary, but also a doorkeeper-messenger, clerks, and translators fluent in German, Spanish, and Dutch. All foreign affairs matters would go through his office at Fraunces Tavern. Still, Webster found nothing regarding Jay’s stint as Secretary during his pilgrimage to the bar. Webster, a man of average height with graying hair and alert eyes, has an excitement and passion for American history (especially John Jay-related history) that often leaves him unable to finish one thought before moving on to the other. The constant snubbing of Jay frustrates him. He penned a blog entry on his website that listed all the settings in which Jay was removed from history. In the AMC series Turn: Washington’s Spies, a show about a spy network set up during the American Revolution, there is no mention of Jay, who was an influential spymaster during the war, Webster says. In the HBO miniseries John Adams, scenes involving Paris, where the Treaty of Paris — which ended the War for Independence — was signed, remove Jay from the narrative completely even though he was directly involved in peace negotiations with the British. Today, Ben Franklin and the rest of the paternal crew earn the names of colleges, stores, museums, institutions, and memorials that document their contributions. Jay’s singular contemporary reference might be the criminal justice college in Manhattan named after him, and, of course, his backhanded shoutout in the popular historical musical, Hamilton, for writing five of the 81 Federalist Papers. But despite his relative erasure from history, Jay’s contributions remain notable and considerable. He served as the first Chief Justice of the United States, establishing an early precedent for the Court. For example, Jay refused to take sides on new legislation, the most notable of which being Alexander Hamilton’s request to have Congress take on all state debts after the Revolution. Jay was also elected as the second governor of New York in 1785, passing legislation that would eventually free all slaves in the state. As a principal negotiator of the Jay Treaty, he assisted in preserving a peaceful relationship between the United States and Great Britain by settling unresolved leftover issues stemming from the Revolution. 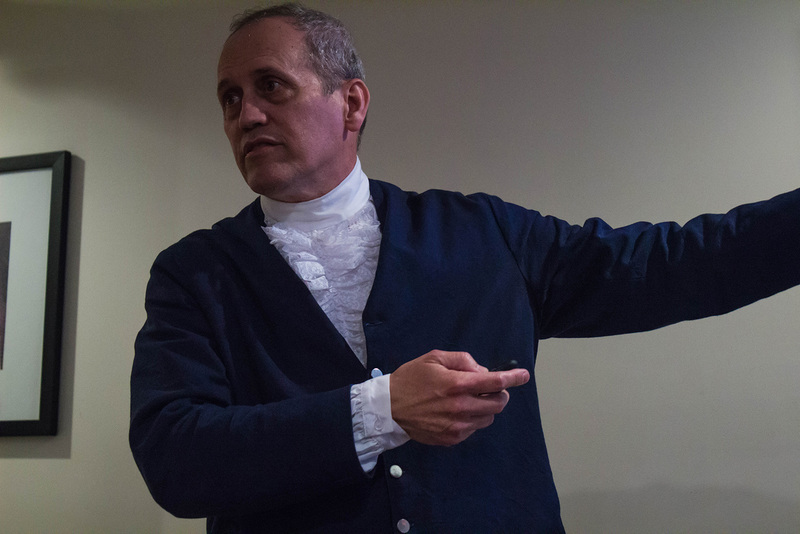 “He’s the glue that held the country together between 1784 and after the Constitutional Convention,” says Phil Webster about John Jay (photo credit: Rachel George). Those contributions fuel Webster’s determination to bring Jay the recognition he deserves. He knows his job as a Jay interpreter is unique, to say the least. “I can probably find 20 Ben Franklins or 10 Thomas Jeffersons, but as far as I know, I’m the one that really takes John Jay to heart,” he says. 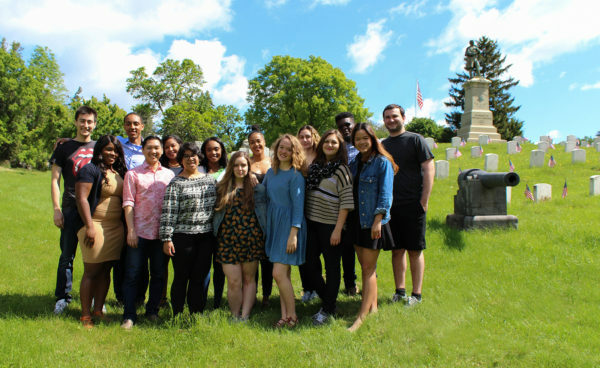 As a history major at Ashbury College, Webster always possessed an interest in the past, but a tragedy inspired his investment in learning Jay’s history — his father’s death in 1994. While driving his dad’s van to pick up flowers for his funeral, Webster heard the often-criticized evangelical author and political activist David Barton speaking on the radio. Interested in learning more, Webster read Barton’s book Original Intent: The Courts, The Constitution, and Religion. In his research, Barton would use documents like letters and newspaper articles to find references to God and religion to support his frequently disputed view that Christian ideas had a heavy influence on America’s foundations. To his surprise, Webster, who describes himself as a religious man, discovered that Jay was president of the American Bible Society. “I said, ‘What? How come I’ve never heard about this before? It’s kind of important,’” he says. He started searching for any literature written by or about Jay. His research and interest in the Founding Father’s religious beliefs led him to write his first self-published book on Jay, Can a Chief Justice Love God? : The Life of John Jay. “I read all his correspondence, and it really impressed me, the deep Christian life that he had,” Webster says. Since penning his first book, Webster, who’s close to retirement, has self-published two others on Christianity and the founding of America. He’s read all 25 volumes of the Letters of the Delegates of the Continental Congress — a feat he is proud of and upon which his book 1776 Faith is based — and 34 volumes of the Journals of the Continental Congress. Webster says his research has led him to personally conclude that at least 54 of the 56 signers of the Declaration of Independence had a Christian worldview. 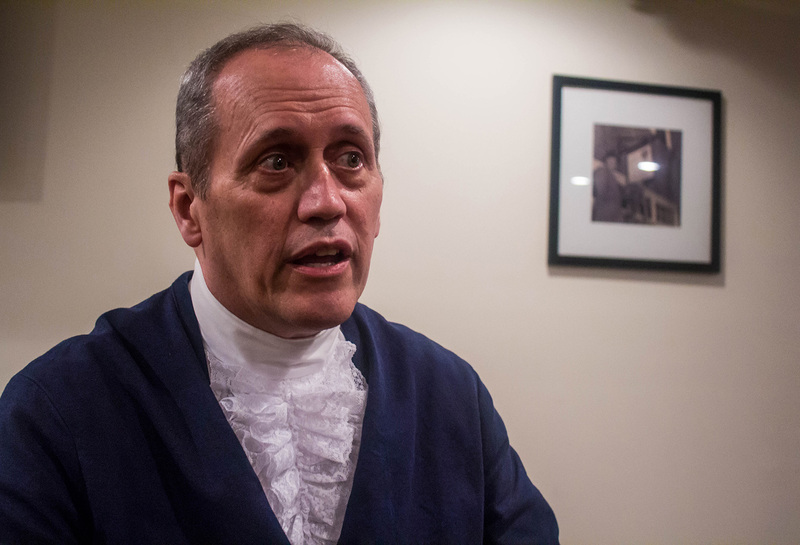 Webster in costume as John Jay (photo credit: Jasmine Gomez). In his research, Webster says he also found evidence that Jay was indeed a religious man. Being religious himself, Webster finds that his first-person interpretation of John Jay is a way to merge both his passions — religion and history. But the shared territory between the two men extends beyond just those two areas. Both spent time in Spain — Jay as the Minister to Spain in charge of rallying Spanish support for the American Revolution, and Webster during his time completing missionary work trying to start evangelical churches in Spanish towns like Aranjuez. Both experienced bad storms at sea. On his way to Spain, Jay and his wife Sally were nearly shipwrecked, ending up near Martinique. During his two years doing missionary work, Webster spent a significant amount of time on a ship and experienced two bad storms that, he says, made him wonder if he would make it out alive. Webster prefers to center his Jay presentations on the view that America was founded through a Christian worldview, but he believes interpreting history through that lens undermines his ability to book gigs. “There are a lot of bookstores that won’t let me have book signings there,” Webster says. “They’ll put out other reasons, but I think a lot of it is they don’t like the worldview I bring.” Lately, he’s been preparing presentations for secular audiences, the first of which he put together in early June. Marcos Salavarria, director of education for the Lewes Historical Society, booked Webster to present for his group. He’s known Webster since 2006, after meeting him at one of Webster’s book signings. “[I] liked his character portrayal, [and I] liked his energy,” Salavarria says. Webster is particularly interested in the way Jay lived his life as a religious man (photo credit: Rachel George). 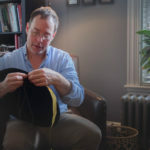 On June 9, dressed in breeches, a coat, and a ruffled shirt reminiscent of a cravat (popular 18th-century neckwear) with his colonial hat resting on a shelf to the side of him, Webster presented before the Lewes Historical Society in Lewes, Delaware. 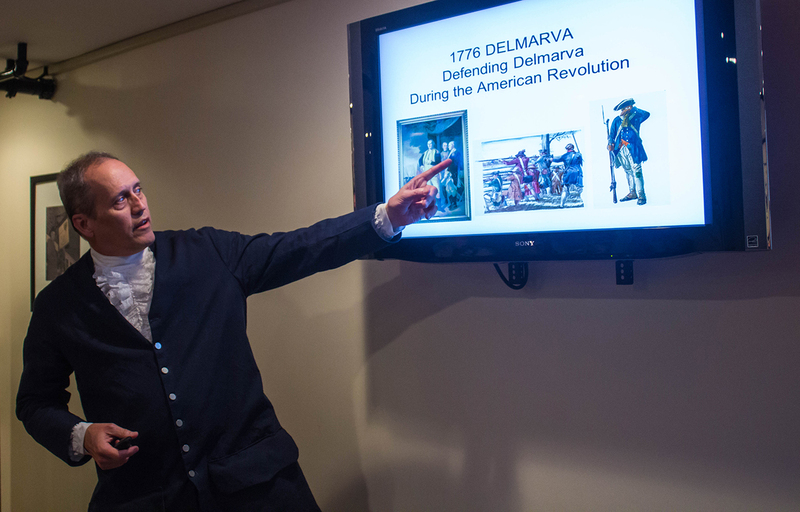 About 15 gray-haired history buffs in the audience learned about the role Delaware played in the American Revolution. Some expressed surprise to know that the state provided three electoral votes to John Jay in the first presidential election. 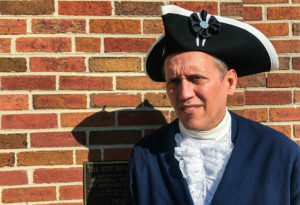 In the hour they shared, Webster filled the conversation with as many facts about John Jay and the state of Delaware as he could remember — details about the Delmarva peninsula’s role in the American Revolution, the relationship between Jay and his wife Sally, and Jay’s role in the Continental Congress. Then he brought the presentation to a close, and the room cleared quickly. One older couple made their way to the front to ask Webster about his book and his home state of Maryland. After the couple wandered out, a representative from the historical society began picking up props from the lecture. Webster grabbed his colonial hat and headed for the door, looking for a new person to educate about the nation’s footnote of a Founding Father. Originally from the Bronx, Jasmine Gomez is a student at the S.I. Newhouse School of Public Communications currently finishing up her graduate degree in Magazine, Newspaper and Online Journalism. 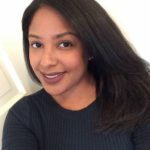 As a Newhouse Fellow, Jasmine has been interning at Advance Media NY. While her passion for music and culture usually leads her to interpret music lyrics and notable events, she’s traded in her headphones for boots and dug into history’s trenches to learn more about Betsy Ross, Revolutionary War battles, and first-person interpreters as a senior editor at Reenact. TEN-HUT! 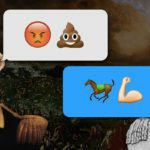 Are You an American Revolution Generals Expert?